On Sale Now! 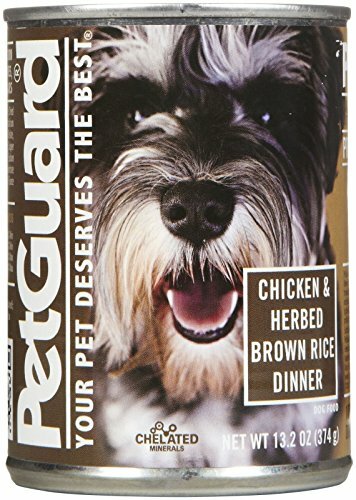 Save 5% on the PetGuard Chicken and Herbed Brown Rice Dog Food, 14-Ounce (Pack of 12) by PetGuard at Animal Lovers Center. MPN: 421. Hurry! Limited time offer. Offer valid only while supplies last. PetGuard Premium Dog Foods provide 100% complete and balanced nutrition for the growth and maintenance of a healthy and happy lifestyle for your pet. PetGuard Premium Dog Foods provide 100% complete and balanced nutrition for the growth and maintenance of a healthy and happy lifestyle for your pet. Each unique dinner is prepared from wholesome ingredients, specifically formulated and correctly balanced with the proper amount of protein, fat, carbohydrates, vitamins and chelated minerals. Excess sodium, magnesium and other nutrients that may harm pets are avoided. You will find no by-product ingredients in PetGuard foods- just good wholesome food.